No game is made perfect. Everyone hits a bump in the road in their gaming lives where the rules are getting in the way of the action. Maybe you’ve been in the middle of a major combat, have come up with a great improvised move that would be brilliant, but has no mechanical effect. Maybe you and your troupe find a great game with an amazing world, but the rules are just for the dogs. Maybe you’re happy playing your wizard, except for that one rule about conjuring that just doesn’t make sense. We’ve all been there. When the rules get in the way of the fun, it’s time to reach in the GM toolkit and break out house rules. House rules are powerful tools that, if used correctly, can improve the flow of any game and tailor a system to meet your needs. For example, if your player has put in the time, energy, and engagement to come up with an inventive combat move, and there are no rules to back it up, make something up. Give them a penalty to do the amazing thing, but a bonus to damage if they pull it off. In some cases, it’s just that simple. Your player feels like their work is rewarded, and other players feed off the example and become more invested. When that happens, everyone has fun. When creating house rules, however, you have to be careful. Most popular game systems are playtested rigorously and refined to maintain balance. When you create a rule that fundamentally changes the game, the balance can be changed as well. Let’s take the wizard as an example. Your player is running a Pathfinder Conjurer. Based on the style of play within the troupe, the Conjurer can’t summon anything without being interrupted. You could shorten the casting time from a full round action to a standard action. This fixes the first problem (interrupted casting), but opens a whole new can of worms, with the player able to exploit a host of loopholes. As a general rule, I’m conservative with the number of house rules I make, especially if I’m in a system I’m not familiar with. You pay people good money to refine the rules–change only what you need. When you use house rules you learn more about the rules in general, which becomes a self-perpetuating process. Eventually you get a deep enough understanding of rules systems that you know what you can tinker with and what is best left alone. When you do this with multiple games, you start to recognize rules trends that can apply across systems. You may have a house rule for rewarding inventive combat, and then you see a better version of it in the Exalted system–which happens to be close to your system. This kind of house rule understanding ranges from intermediate to advanced, and prepares you for the biggest challenges. Sometimes you find games that have great stories, great worlds, and rules that are tougher than a UFC fighter. This may be fun for troupes of rules lawyers, but not for the general group, and especially not for new players. This is when house rules take another step. If you like the world but not the rules, and you really want to play, then change the rules. One of the most iconic examples of this is the Shadowrun system. Shadowrun has a detailed setting that is imaginative, inventive, and unique. 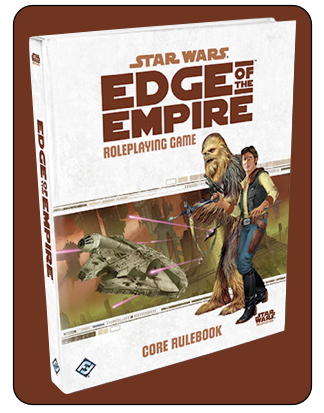 It also has a rules system that is massive, ponderous, and daunting to new players. 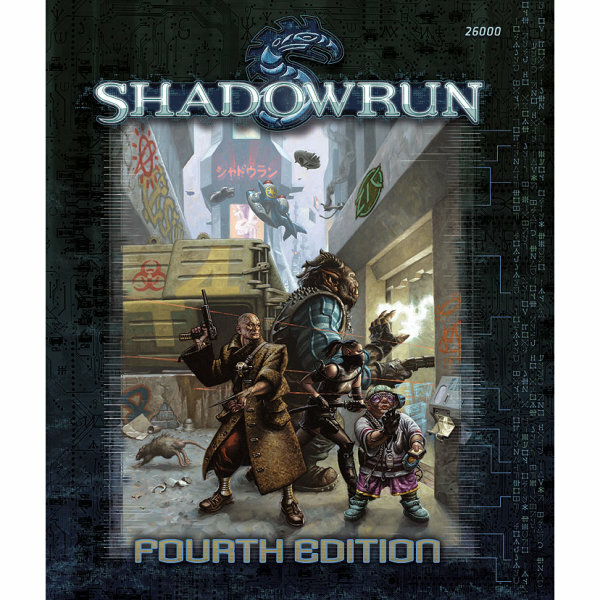 Even GMs with strong rules understanding have difficulty with Shadowrun. I’ve played every iteration of the game, and while it’s gotten easier, it is by no means user friendly. However, I love the game, and I want my troupe, a mix of drama gamers and old school dungeon crawlers, to play with me. So, in an effort to make things easy on them, I streamlined a rule here and there, over and over, just to keep the action running. One player even went so far as to talk about the ease of Matrix rules online, not realizing that the smooth rules weren’t the game makers, but mine. Eventually I created an entire set of house rules that presented different degrees of play for Shadowrun. One set works for newbies, one for intermediate players, and the advanced level is the core game as written. Since creating these rules we’ve told some great stories and had some great combats, all within the Sixth World. All of this, however, came about for one reason alone: we wanted to have fun. Rules are there to give us structure and to keep fights from breaking out. 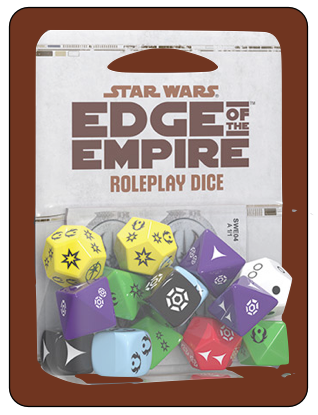 Dice add that flavor of fate that keeps things interesting. But in the end, they’re all tools for you to tell stories and have fun with your friends. If the rules aren’t working towards this goal, then it’s up to you to make them work. Once you do, you’ll be working within a game system tailored to you—and frankly, there’s nothing quite like it. Tomorrow is H. P. Lovecraft’s birthday. Chances are high that something you’ve played has had a “Lovecraftian” influence. Whether it’s Chaosium’s “Call of Cthulhu” or Munchkin Cthulhu or even perhaps just an aberration like the aboleth in your local D&D game, you owe it to Mr. Lovecraft. My personal favorite Lovecraft-influenced game was Living Death. Back when Living Greyhawk was the organized play opportunity of it’s time, two other properties were among the ones I played that were supported by Wizards of the Coast: Living Force, a Star Wars-themed worldwide campaign and Living Death. LD was unique in that it didn’t have a big bunch of sourcebooks that WotC was trying to sell. There were a few books, the Masque of the Red Death (Ravenloft) chief among them, but mostly it was a series of modules published by volunteers over the span of 10 years, run mostly at conventions from 1997 to 2007. It had a very defined beginning, middle and end. It was Victorian Horror at it’s finest: you started as your choice of character in 1890 and progressed until the year 1900. My character was Lady Cora, a septuagenarian nanny who had lost her latest charge under mysterious circumstances. Well… lost to everyone but Lady Cora, as his spirit lingered and only she could see him. During that campaign, she tangled with vampires, saved the Queen, was punched out by the evil Kaiser Wilhelm and once spent an uncomfortable weekend trapped in the coffin of a mummy. Living Death and many others of it’s kind wouldn’t be possible without the imagination of Mr. Lovecraft. And his birthday would make an excellent excuse to grab your favorite plushy horrible monster and play some Call of Cthulhu. It’s only your sanity at stake, right? Creating the right mood for a game can be key to getting your players to enjoy that game to its fullest. While Black Sabbath will do for a beer and pretzels board game night, the perfect song can telegraph what you’re trying to establish with your game and transport your player into the world you’re trying to lure them into (so you can kill them). By way of example, several weeks ago we did a conversion of the Slave Lords modules for Dungeon Crawl Classics (DCC) which went over pretty well. To start The Funnel (where you make 3-4 zero level characters and see who survives to first level), I started the players at a wedding of the beautiful Miller’s daughter to the tavern owner’s son. As the wedding reception got started, I played this old chestnut from the original Conan the Barbarian Soundtrack by Basil Poledouris (an absolute must have by the way). When slaver pirates attack, the would-be heroes have to fight off the raiders to buy the other villagers time to escape. After being captured, they mutiny and wrest control of the Slavers’ ship as it drifts into the harbor of Highport. It was then I played this piece which, to me, perfectly captured what I was going for as they viewed the scenes on the streets and docks of the approaching slaver city (taken from the Borderlands video game soundtrack). And with that, everyone was there. Right there with me as to what the world was going to feel like and the direction we were going. Sometimes you can stumble across these sorts of things, but for the most part, it takes listening to a wide variety of instrumental music (soundtracks, mainly) and categorizing things into either specific scenes (somewhat challenging) or by building your repertoire for broader categories of music. I’ve made, lost, changed, and remade numerous lists since my mix-tape days, but largely you can do whatever you think you need based on how much work you want to put into it. At a minimum, you should have Combat Music and Non-Combat Music. However, if you care to listen to and sort some songs, additional folders for Exploration, Chase scenes, Exposition, or downright Creepy music are good selections. 1) It links through Facebook, (Like us here BTW) so you’ll need to have a Facebook account to use it , even if it’s not one you use for anything other than Spotify. 2) The advanced features cost money, but allow streaming through other devices offline. 3) While it maintains a vast and ever growing catalog, there are limits to what’s available on it at this time. In my opinion, the features and deep catalog greatly outweigh these shortcomings. You can search for other people’s playlists and share your own playlists, add music from your own hard drive that can’t be found in Spotify’s catalog, and you can play these lists on ipads and other devices, so you can take your game music out of the house. Currently, I have playlists for sci-fi/shadowrun combat and downtime, as well as fantasy oriented playlists for town, creepy stuff, adventure, exposition, and combat. I then cull from there to make adventure specific playlists. So, to get you started, here’s a few of my songs from Spotify. Feel free to share yours! Klaus Badelt – To The Pirates’ Cave! TOWN – Downtime, romance, etc. Yvonne S. Moriarty – Am I Not Merciful?